Willis Towers Watson Trade Credit and Surety Ltd is the largest and best resourced specialist Credit Insurance intermediary in Ireland with a reputation built on integrity and excellent customer service. If you would like to discuss credit insurance options for your business before requesting a quote please call our Head Office (Dublin) on +353(1) 639 6480, or our Belfast office on +44(0) 2890 895 233.
Credit Insurance protects companies against the potentially catastrophic impact of bad debt. Willis Towers Watson Trade Credit and Surety Ltd is the largest and best resourced specialist Credit Insurance intermediary in Ireland. We have significant global reach which further enhances our capacity to service our clients, regardless of location. Willis Towers Watson Trade Credit and Surety Ltd have offices in Dublin and Belfast with 13 dedicated personnel who have combined experience of over 180 years in Credit Insurance and Surety. We have an extensive portfolio of clients spanning many trade sectors, from small family run businesses to multinational companies. As a specialist credit insurance broker we have the knowledge and experience to negotiate the best combination of cost and cover for your business. We have access to the entire credit insurance market, which we will review thoroughly before we make our recommendations to you. The market offers a sophisticated portfolio of subtly different products which are constantly being added to and updated. It is our job to understand and keep pace with all such developments so that our clients are made full aware of all the options available and the benefits each policy offers. A credit insurance policy will generally cover a company for at least 90% of a bad/unpaid debt. A Credit Insurance company monitors your customers and keeps you informed should their credit worthiness deteriorate or improve, enabling better informed commercial decisions. As part of the Willis Towers Watson Group we have significant global reach to deliver a global service at a local level. A policy offers you peace of mind knowing that should a customer default on a payment this will not adversely affect your business. Click Here to learn more about who make up the largest and best resourced specialist Credit Insurance intermediary in Ireland. 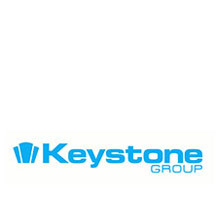 Click Here for details of the trade sectors our client base is spread across. We have the expertise and experience to arrange the most suitable credit insurance option for your business. 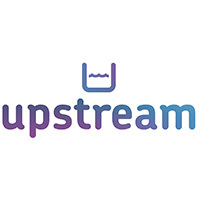 Upstream Working Capital has been looked after professionally, efficiently and above all, sympathetically by Willis Towers Watson Trade Credit and Surety Ltd for many years. Their insight and knowledge of both the local economy and the wider insurance protection market is excellent and their application of this detailed intelligence is critical to our business and the successful trading of our customer base. I cannot compliment the Trade Credit team at Willis Towers Watson highly enough in their chosen field and have no hesitation in recommending their support and services to business owners across Ireland. Tayto Group Limited has worked with Willis Towers Watson Trade Credit and Surety Ltd for 13 years. The Trade Credit team are a trusted partner for the business and have provided the company with highly professional independent advice on credit insurance during this time. The Trade Credit team are customer focused, provide an excellent service and always strive to secure the best terms in the market for Tayto Group Limited. 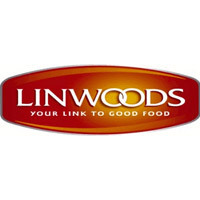 Linwoods have worked with Willis Towers Watson Trade Credit and Surety Ltd for the past 11 years. We regard the Trade Credit team as a trusted partner providing us with independent professional advice on the complex area of credit insurance. Our credit controllers work very well with the staff in ther Trade Credit team at Willis Towers Watson to ensure issues are dealt with quickly and satisfactorily. James A Barry & Co has worked with Willis Towers Watson Trade Credit and Surety Ltd for 9 years. 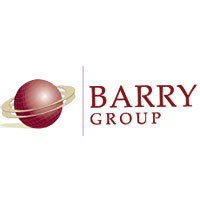 The Trade Credit team are a very supportive and trusted partner for the Barry Group and have provided the company with excellent professional independent advice on credit insurance matters. It’s our contention that the team have demonstrated excellent customer focus and are continuously providing us with exceptional customer service. We have no doubt that The Trade Credit team at Willis Towers Watson will always endeavour to get the best terms in the market for their customers. When we decided to manage our credit risk through credit insurance we were advised to speak to Willis Towers Watson Trade Credit and Surety Ltd who carried out a comprehensive review of the Credit Insurance market and provided us with a number of options which convinced us that integrating Credit Insurance into our internal credit control procedures was a prudent action to take to help us to grow our business safely. Unfortunately, in January of this year one of our largest customers, Williams Industrial Services Ltd, went into administration owing Evergreen Biogas Ltd a significant amount of money, which could have threatened our ability to continue to trade , if we hadn’t had Credit Insurance protection. Our claim was dealt with in a professional manor by a dedicated claim handler within the Trade Credit team at Willis Towers Watson, who liaised with Atradius (the underwriter) on all aspects of the claim process and ensured that our claim was paid promptly with minimal disruption to our cashflow. 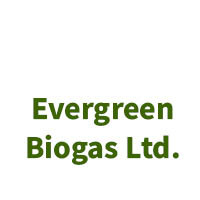 Jason Mitchell & Dr. William Moore, Directors - Evergreen Biogas Ltd.